Home » The experimentation of the Life Eco-Pulplast project continues. The representatives of the European Commission in Lucca to visit the prototype line at the Selene site. The Life Eco-Pulplast project continues its activities. 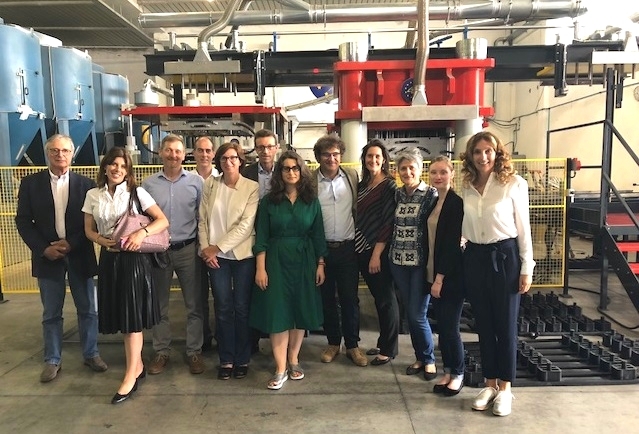 on May 28th the officers appointed by the European Commission to monitor the progress of the activities co-financed with the Life program were welcomed at the headquarters of Selene, the Coordinating Beneficiary of the project. During the meeting, the officers were able to visit the prototype line and discuss the potential development of the project, which experimental phase will end in the next month of August. "Over 25 years - explains Anna Natasa Asik, Ecopulplast project officer, nominated by the European Commission - the Life program has supported over 4500 projects with a high European added value in order to implement objectives for the environmental and climate policy of the EU and in particular to support the circular economy. Life Eco-Pulplast is one of these successful projects that has shown concretely that new circular business models can be developed where the environmental benefit is closely linked to clear economic benefits. An essential contribution to the planet, growth and work ".